It’s certainly fitting that Australia’s premier “Road Only” store, Bike Force Docklands, is Bike Chaser’s first Bike Shop of the Month and supplier of the Basso Laguna. 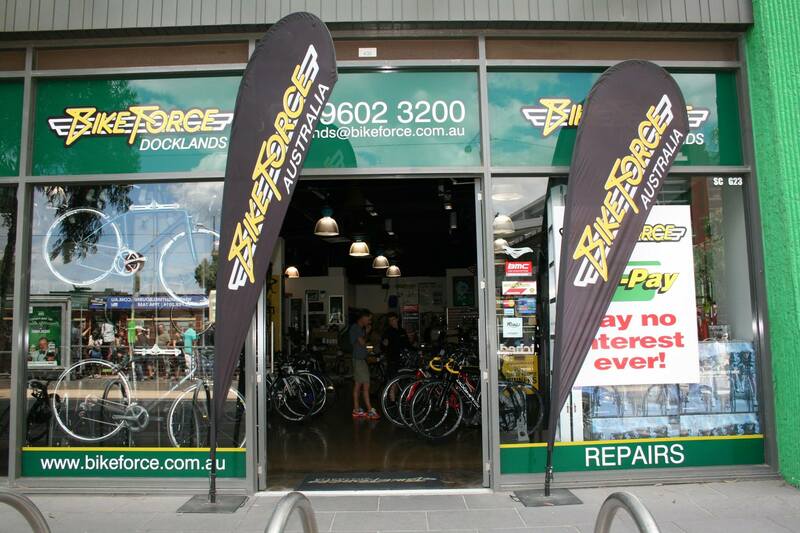 With stores across three states and a love for everything cycling Bike Force is a force to be reckoned with within the Australian cycling scene. This month we had a look at what this Melbourne cycling institution has to offer. Within footsteps of entering Bike Force’s iconic Melbourne store you’re presented with a vast range of world-renowned road brands. 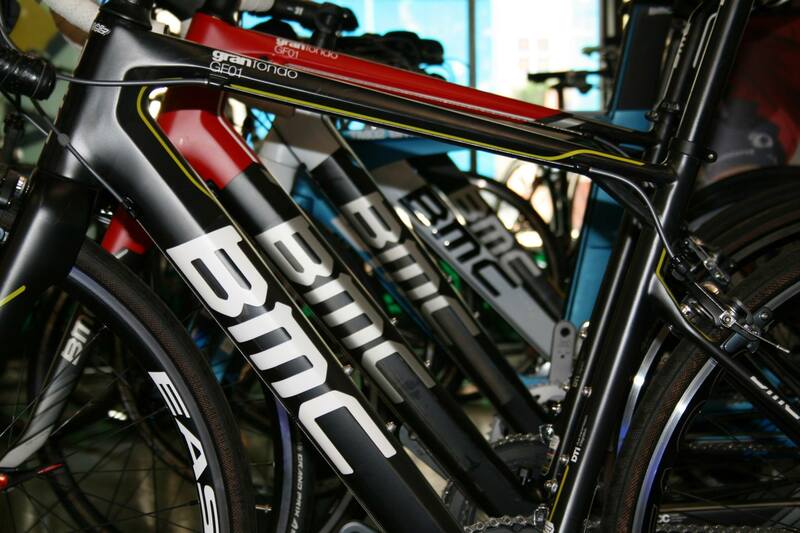 Their carefully selected range includes BMC, Pinarello, Willier, Ridley, Time, Colnago, Malvern Star and of course, Basso. Importantly, Bike Force can back up their huge range with stock availability. You’d actually be very hard pressed to ask for something that they don’t have in stock. A huge range, big stock holdings, and only road bikes? Yes, a perfect place to shop for your next purchase, right? 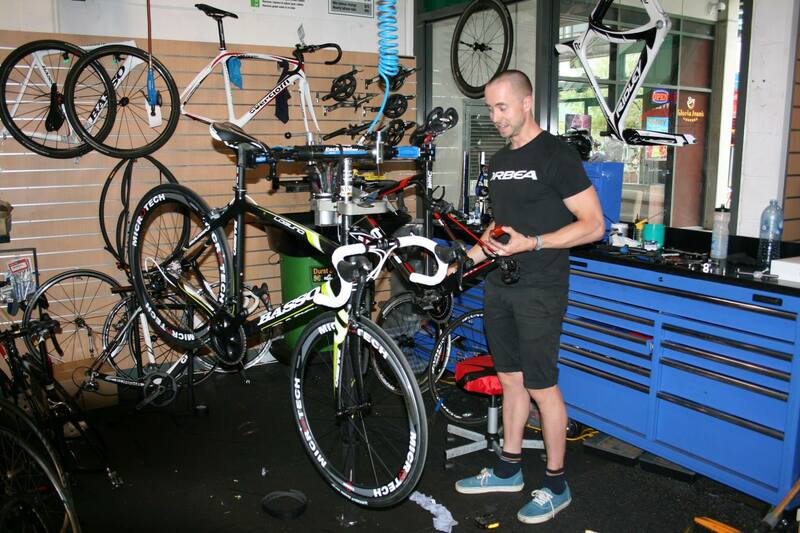 Well we certainly think so, but let’s take a closer look at what makes Bike Force Docklands such a great bike shop. 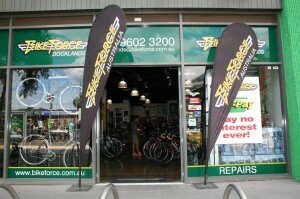 History: Bike Force has been around since 1991 and now has 20 stores across Australia. They operate under a franchise model and pride themselves in quality stock that is always readily available. Add to this first class customer service and you have yourself a very successful business model. Their foundation is built on years of experience in setting up Bike Force stores in Western Australia, where the brand was first established. Five years ago it was their aim to tackle the East Coast, and the Docklands store was the launching pad for this plan. The launch was a success and Bike Force Docklands has since become one of Melbourne’s iconic bike shops. Size: Who said size doesn’t matter? The store’s large floor space houses a wide range of world-class brands, which makes it easy to find the product that’s just right for you. The wide variety of products also gives the customer the option to tailor their purchase to fit their specific needs (or should I say wants). While many smaller operators are reluctant to change their standard products the guys at Bike Force Docklands are not afraid to build something custom or switch a pair of wheels that come standard with one of their bikes. The wide variety of brands and ability to customise certainly makes this store unique. Location: I was surprised to learn that Bike Force’s customers aren’t predominately city dwellers. They’re mainly city workers who reside in Melbourne’s inner and outer suburbs. This means that Bike Force Docklands can really be considered by the masses. As we have all discovered, buying a road bike doesn’t finish as soon as you walk out the door. In fact, that’s where it all starts. You need servicing and additional parts (tyres, tubes, lights etc. ), and of course you want somewhere to go for your weekly carbon fix, pre-empting the next upgrade. 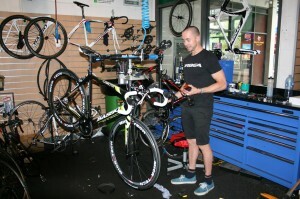 Customer Service: Some people may be of the opinion that the larger the bike shop, the less personalised the service. However, while visiting in store to meet with staff and take photos of the Basso Laguna for Auction of the Month I was impressed by the service at Bike Force Docklands. While interviewing store owner Matt the store got so busy that he had to park our discussion and assist the many customers walking through the door. During the rush one individual brought his wheel in to see if someone could give him some on-the-spot assistance with a puncture. To my surprise Matt grabbed the wheel, pulled it over the counter and fixed it while he was speaking to another customer about a potential sale. That willingness to serve and the fact staff made time for everyone is not something you come across often. Add to this a personalised Laser Bike Fit with every bike purchase and you’ve got yourself unparalleled customer service. So there you have it. Loads of quality brands, heaps of stock, and high quality customer service in a top location. 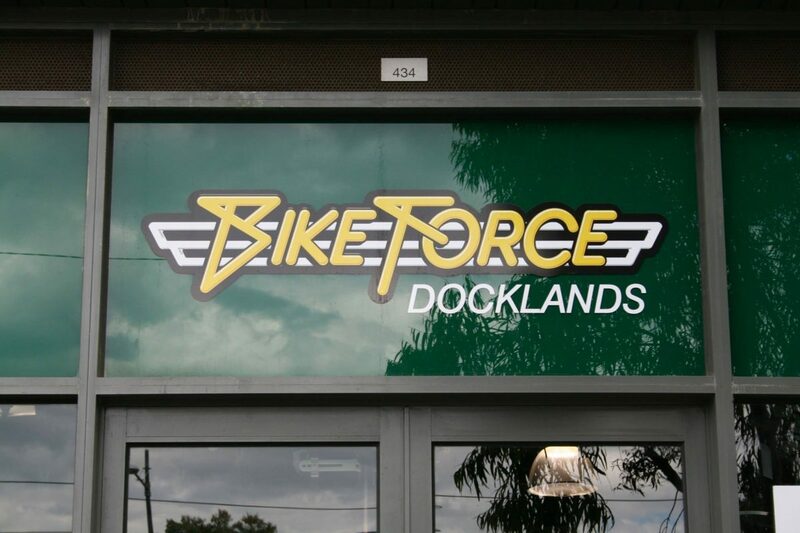 If you work, live, or play near Melbourne we highly recommend you go check out Bike Force, Docklands. You won’t be disappointed.